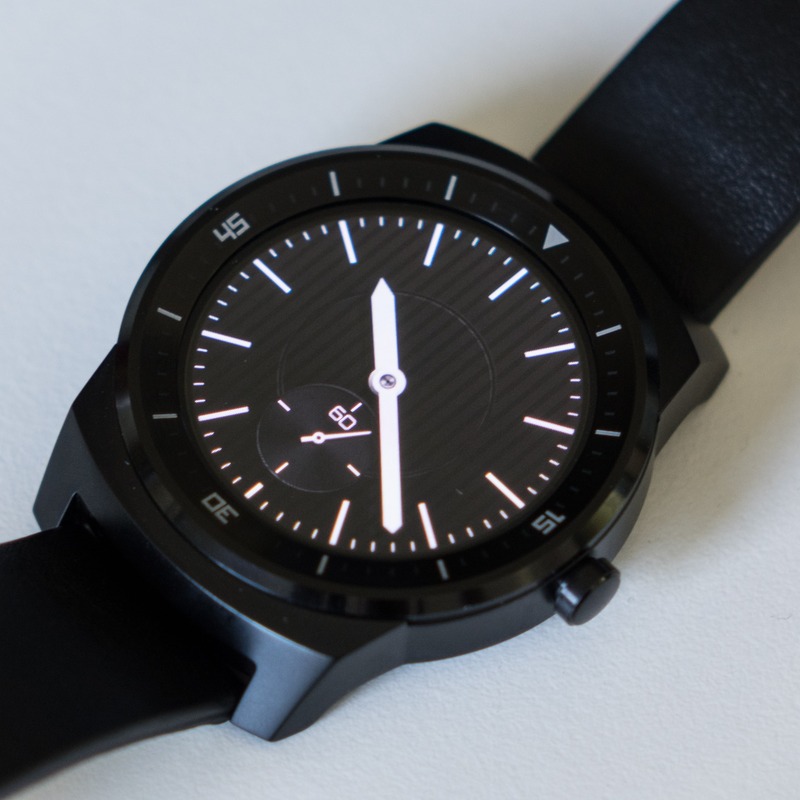 Android 4.4W.2 is slowly rolling out to various Wear devices this week, and my G Watch R review unit just received it earlier this afternoon. A couple of commenters have pointed out a new feature in W2 that we hadn't yet noticed - you can now hide notifications, as opposed to dismissing them, directly from the watchface. Previously, to get your watchface clean you had to swipe away a notification and dismiss it completely, otherwise it would linger as text in always-on / ambient mode, and be a half-showing transparent white card when the watchface was active. This is understandably annoying / OCD-aggravating. I don't want to dismiss all of the notifications on my watch - I'd just prefer they not be on the watchface all the time, so I can look at the pretty watch and know that my Google Now cards and other business are lingering happily below, out of sight. You can also swipe up to bring the notification back (half-showing as in the GIF here, and then again to make it fully extended). A small but important feature, I'd say. Thanks to everyone who pointed this out!